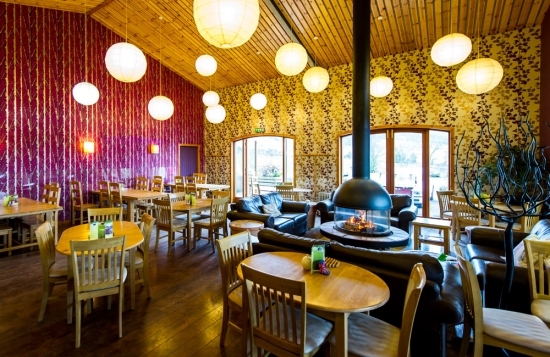 Muddy Boots Café is a fabulous place to enjoy great home-cooked food in unique surroundings. From inside the café, snuggled around the central log burning stove, enjoy meals from our delicious menu, or a hot drink and home-baked cake. Even if the weather outside is less than welcoming, you are assured of a warm welcome inside. During the warmer weather, we have a beautiful garden outside the café with seating area so you can make the best of the Scottish sunshine. Our seasonal menu reflects the changing times of year, and makes the most of the fresh fruit and vegetables we grow on our farm. What’s more, because we are family run, we understand the challenges of eating with little ones in tow. So we’ve got a whole stack (literally) of Duplo building bricks to keep everyone occupied, even if it is just for 5 minutes! 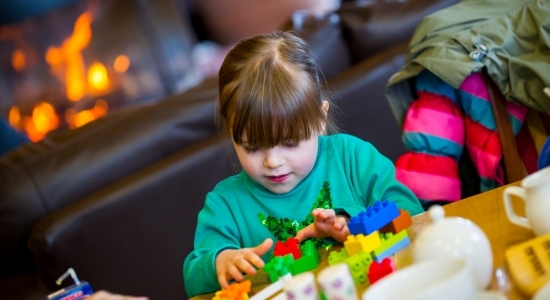 What makes Muddy Boots Café so Special? We work hard in our farm bakehouse to make a wide range of home baking, to keep our cake cabinet brimming with choice. We all have a different favourite – it’s up to you to discover yours. It’s not just our opinion that counts. We are all very proud of our Scottish Home Baking Award, which is awarded for master bakers and exceptional premises. We love the produce we sell in the shop so much that we also use them in our café. 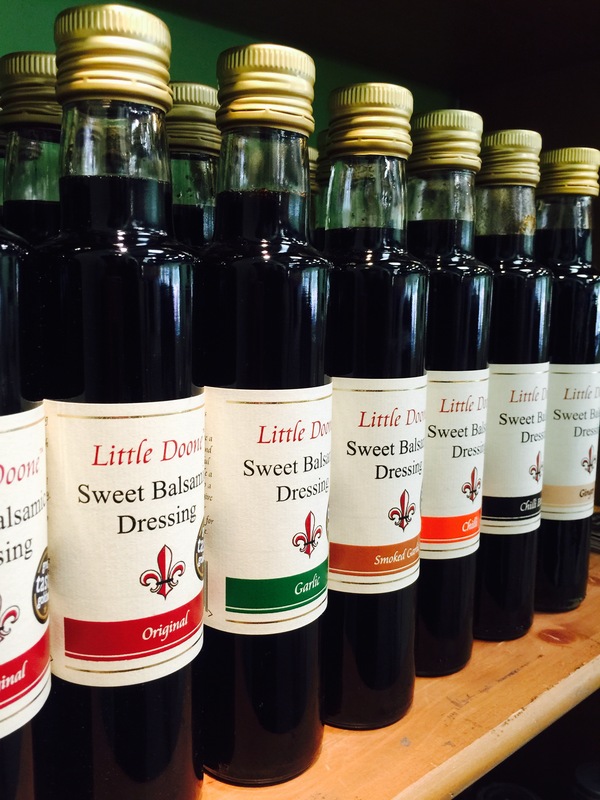 We all rave about Little Doone Balsamic dressing so much, we drizzle it over the side salads. We also support local business by using meat from Minick’s Butcher in nearby Ladybank. 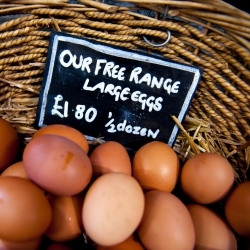 Alec lovingly cares for our free range hens to make sure we have the best eggs on offer for a breakfast dishes and cakes, while Moira tends to the fruit and veg to pack our soups full of goodness. The kitchen team use some of our finest and favourite produce including cheese, chutney, jam and red onion marmalade to make the tastiest lunches. And the best thing? If you like what you taste, you can nip next door to our Farm Shop and buy some to take home too! Everything on our menu is available to take away. 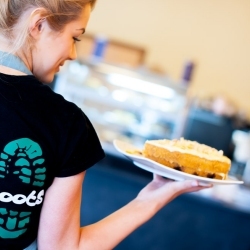 Muddy Boots Play customers can order in the café on the day and your order will be prepared as you wait. Want to enjoy our great tasting food again? We welcome pre-orders for offices and parties. You can also pre-order cakes and baking for special events. We require at least 24 hours’ notice for these. Menu 1. £4.75 per head: A selection of freshly prepared sandwiches (1 round per person), Hand cooked crisps, Homemade cream scones.